This is a fun challenge using three words, three buttons and three papers. The challenge is open until July 26th, so come along and play with us. My designer paper is from Gypsy Chick (the Butterfly Garden), Graphics are from “The Graphic Fairy”, and the stamp is from Stampin’ Up. 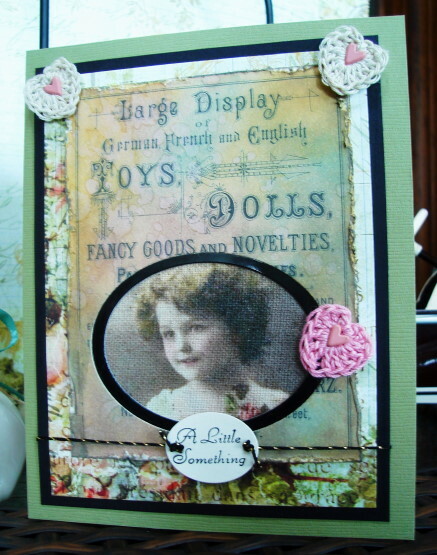 Labels: Gingersnap Creations Challenge, Graphic Fairy, Stampin" Up. I love this so much. The soft, vintage feel, the gorgeous image. A stunningly beautiful card. 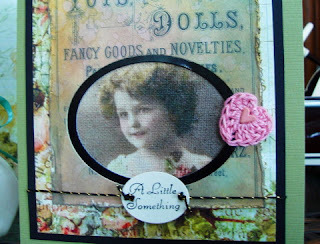 This is just beautiful Vada - so soft and vintage looking love the papers and image! What a soft looking card. It certainly is vintage looking. So soft and delicate, Vada! Very pretty vintage card! Stay cool!